MONTERREY, Mexico — Romeo Santos is known as the King of Bachata for good reason – as a member of Aventura and as a solo artist, he’s done more than anyone to popularize the Latino music genre, garnering seven number one hits on the Hot Latin Songs chart in the last three years alone and selling out stadiums in the US and Latin America. 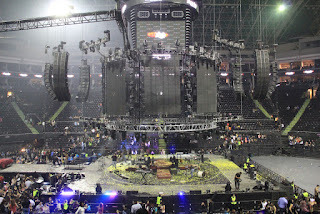 A recent tour stop at Mexico’s Arena Monterrey was one of the tour’s most challenging for sound contractor Pro Audio, as the concert was centered around a rotating stage with 360-degree sound, provided by a HARMAN Professional audio system featuring JBL VTX Series line array loudspeakers and Crown I-Tech HD Series amplifiers. Pro Audio brought in a system fit for a king. 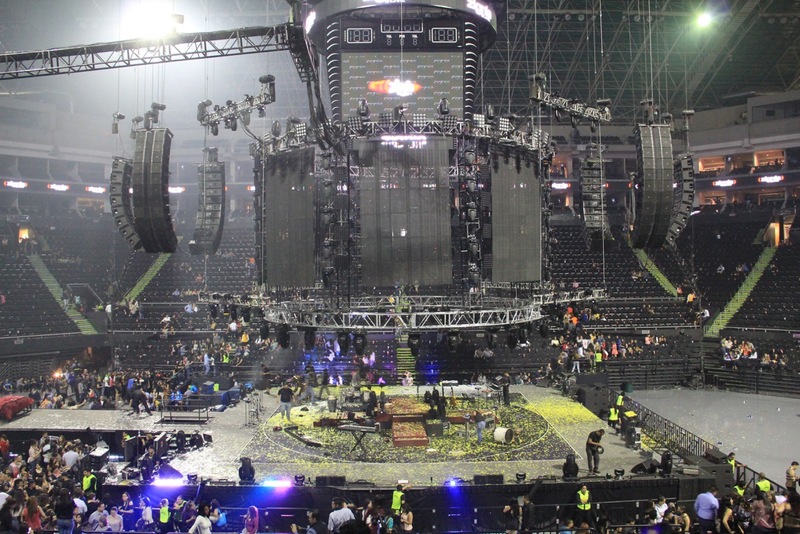 A total of 48 JBL VTX V25 line array elements were arranged in four clusters of 12 V25 loudspeakers each, with two left and right hangs on the north side of the arena and two left and right hangs on the south side. Thirty-two JBL VERTEC® VT4889 line array elements were deployed on the east and west sides of the arena in a similar manner in four clusters of eight each. In addition, 24 VTX G28 ground-stackable subwoofers were arranged around the stage and 12 VTX V20 loudspeakers were used for front fill. The loudspeakers were driven by an equally massive amplifier complement including 16 Crown VRack amplifier systems. VRack is a complete, transportable amplifier management solution that includes Crown I-Tech HD Series power amps, analog and digital connections and a universal power distribution system, all housed in a wheeled rack with a captive suspension system that enables VRack to be flown in the same manner as a line array loudspeaker system. For the Santos concert Pro Audio furnished 16 VRacks with Crown I-Tech 12000HD power amps to drive the V25 loudspeakers and V28 subs, and 16 I-Tech 6000 and I-Tech 4000 amps to power the VT4889 arrays. 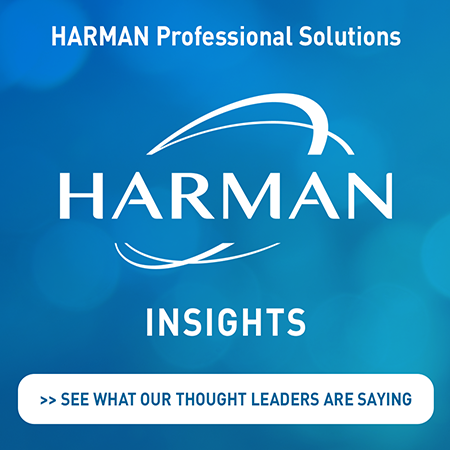 A dbx DriveRack 4800 handled loudspeaker management and the entire system was set up, calibrated and controlled using JBL HiQnet Performance Manager™ software. “A big event like this always presents great challenges,” noted Victor Gutierrez Zubieta, Director of Pro Audio, “and the 360-degree arrangement also meant that setting up the sound system was far from what we usually have to deal with.” Pro Audio had to determine the correct positions for all the loudspeakers that would provide even coverage throughout the venue in a complete circular pattern, but would not block the four central video screens and would not visually intrude upon the elaborate and extensive lighting and video design. In addition, because of the full 360-degree arrangement Zubieta and his crew had to run cables over much longer distances than usual.